A D.C. man was sentenced to 50 years in prison for the fatal shooting of a stranger at a Prince George's County gas station while allegedly high on PCP. In February, 27-year-old Eric Walker of Baltimore was pumping gas in Hillcrest Heights when 36-year-old Duane Lamar Williams approached him with a gun. 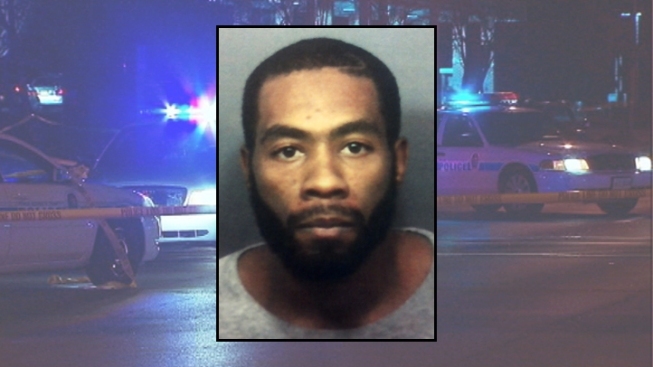 Police say Walker tried to run, but Williams chased him down and shot him multiple times. An off-duty Metro police officer was in Walker's car at the time of the shooting, and police say Williams tried to shoot him, too, but that the gun wouldn't fire. Prosecutors say there was seemingly no motive in the killing. Police say Williams was high on PCP when he shot Walker. Officers who responded to the scene found Williams nearby and tried using a stun gun on him, to no effect, which is common when someone is using PCP, authorities said. They arrested him and recovered a gun. "Mr. Williams was in the midst of some very difficult life challenges at the time of this incident, causing mental health issues," said Prince George’s County State’s Attorney Angela Alsobrooks. "Mr. Williams chose to self-medicate by smoking several PCP-laced cigarettes, and then murdered an innocent man. I am pleased that he will be off our streets for a long time." Williams was convicted of first-degree murder in the case.